UP Polytechnic Joint Entrance Examination or UP JEE (P) is being conducted for admission to different courses. Eligible candidates can apply online for the UP JEE (Polytechnic) for Group A and Group B to I and K1 to K8. The Application Form for UP Joint Entrance Exam (Polytechnic) 2019 will be available from 20th December 2018 onwards. 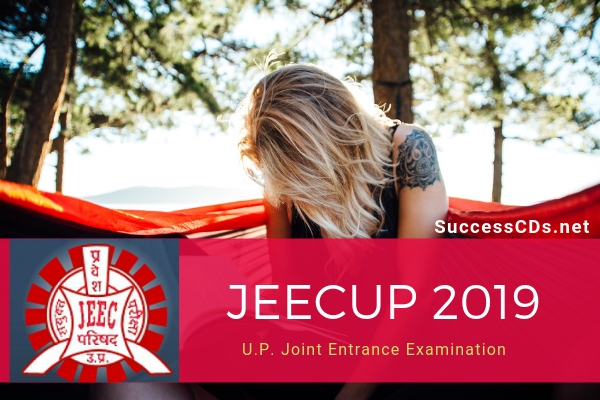 UP JEE (P) 2019 is a State Level Entrance Examination which is being conducted by Joint Entrance Exam Council Uttar Pradesh (JEECUP) to shortlisted candidates for admission in Diploma/Post Graduate Diploma in Engineering, Technology, and Management Programs in Polytechnic Institutions affiliated to Board of Technical Education and others. The eligibility criteria an applicant is eligible to apply for an examination. The eligibility criteria for different courses of JEECUP 2019 are as follows decided by the authority. Diploma in Eng. (Lateral Entry) (Duration: 2 Year); Min. Eligibility: 10+2 Exam with Science Stream or Class 10 Exam with ITI Certificate. The applicants must have aged 14 years to apply for JEECUP 2019. There is no upper age limitation specified by the authority. Scheme of examination indicates the type of questions, marks and mode of exam. It is important to know the UP Polytechnic 2019 exam pattern in order to prepare well and score high. Provisions for Persons with Disabilities: Only the candidates, who have 40% or more permanent disability, are eligible to avail the benefits of this subcategory. Persons with any disabilities (including Colour Blindness) are not allowed to apply in Group I (Courses related to Aeronautical Engineering). Examination will be conducted in all districts of Uttar Pradesh. However, in some exceptional circumstances, a different district in nearby area may be allotted. The online submission of particulars, uploading of scanned photograph, signature and thumb impression may be made at UPJEE (POLYTECHNIC) Website https://jeecup.nic.in. The candidates should supply all the required details while filling up the online form; on submission of details, a Confirmation Page with Application No. shall be generated. Candidates are required to take printout of Confirmation Page and keep it for reference. The Confirmation Page is not required to be sent to "UPJEE (POLYTECHNIC)" Council. They must fill in correct and verifiable details in the application form of JEECUP 2019 and pay requisite fees. Candidates of UPJEE (POLYTECHNIC) - 2019 have to apply online only. There is no printed application form for UPJEE (POLYTECHNIC) - 2019. The application fee payment can be made a) by Net-banking/Credit/Debit card, or; b) by depositing fee in cash in the any branch of State Bank of India through e-challan generated during the online filling of application form. In case of unsuccessful transaction, the amount will be refunded after 15 days from last date of Form submission. Candidates are advised to regularly visit the UPJEE (POLYTECHNIC) website https://jeecup.nic.in and https://jeecup.org for latest information. The Admit Card can be downloaded from UPJEE (POLYTECHNIC) website from 2nd week of April 2019 onwards. Prior to downloading the Admit Card; the candidates are advised to download their admit cards from UPJEE (Polytechnic) website only. Telephone No. : 0522-2630667 will also be functional on all working days from 09.00 AM to 06.00 PM for general facilitation. To prepare as per the syllabus is compulsory to score good rank in an examination. The JEECUP will be held for different papers and thus the syllabus of each test will also be varied from each other. For JEECUP 2019 the applicants can follow 10th & 12th standard course to prepare for the examination. The syllabus for diploma in Pharmacy includes Physics, Chemistry, Biology & Mathematics subjects. On the other hand, for engineering & technology, the applicants need to prepare well in PCM group.